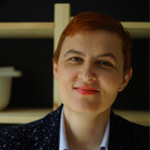 Featured / Recipes / 11.02.2017. “Hladetina, mrzletina, pihtija, žurica” are only some of the Croatian names for this traditional dish. Recipe for meat in aspic is first mentioned in late 17th ct., although it was probably being prepared earlier as well. It is rarely prepared nowadays, and it used to be a part of the menu for Mardi Gras, Easter or Christmas eve, after the midnight mass. 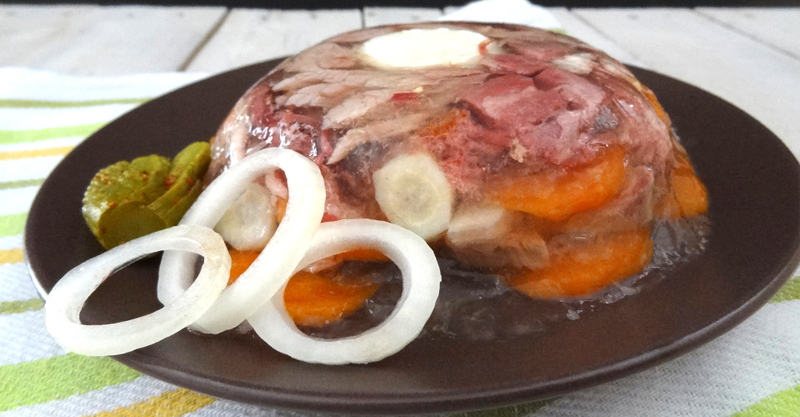 Meat “trapped” in aspic goes well with added pickles, boiled eggs and onion. Wash the meat, and cut the legs in the middle. Clean the carrots and the onion, wash and cut in larger pieces. Except the tongues, distribute the meat in a larger pot (if you don’t have one that is big enough, use two of 5 L/21 cups/1.3 gal size). Pour cold water to be above meat, add a spoon of salt, pepper, bay leaf and vinegar. After the water boils, reduce the temperature and boil on slow fire for an 2 hours. Add vegetable and pork tongues, continue to cook for another 2 hours. Add salt if necessary at the end of cooking. Remove the meat and vegetables from the soup, and strain the soup. After the soup cools a bit, remove the fat from surface. Cut the meat on smaller pieces, and slice the vegetables. Distribute the meat into smaller or larger dishes, depending on your needs. Then distribute the vegetables and pour over with soup. For decoration use additional slices of boiled eggs. Put the dishes in a cold place until the liquid sets. Serve the meat in aspic poured with oil and vinegar, next to pickles and slices of fresh onion.